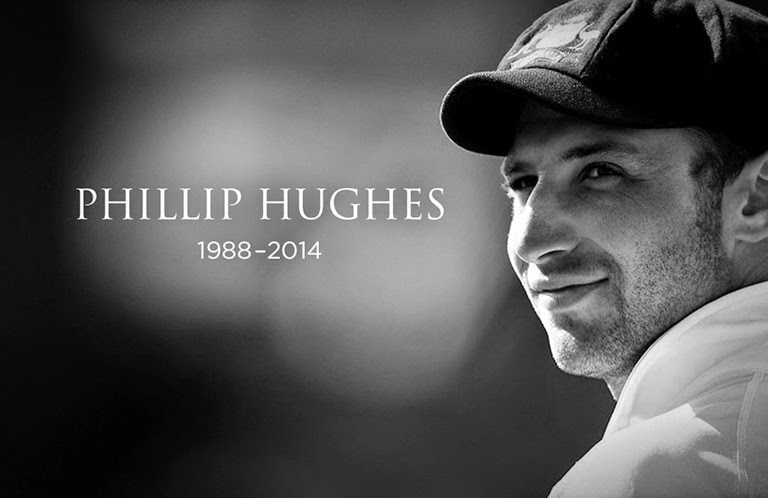 The cricketing world was united in grief at the shock demise of Phil Hughes after being hit by a bouncer during a Sheffield Shield game. 63 not out and 408 acquired new importance in cricket. The West Indies have been in a mess for years. But somehow they managed to reach even lower depths. Contracts disputes between the players, board and the players' association led to an unprecedented pull-out from the middle of a tour to India. Given all the financial troubles they are in, angering the cash-rich and supremely powerful BCCI seems to be a step of truly messed up minds. Wonder what new level they will reach next year. Younis Khan & Misbah-ul-Haq, combined age of 80 years, led the Pakistanis to a 2-nil whitewash of the Australians, their first series victory in over twenty years. Younis reeling off one century after another while Misbah became the first ever 40 year old to score twin hundreds in a Test. Hashim Amla, Moeen Ali, Anton Devcich - need we say any more. Not surprising as the father of modern cricket, Dr. W G Grace had a magnificent beard of his own. Brendon McCullum gives up keeping, becomes captain and then scores a triple century (the first by a Kiwi in Tests), then gets two more doubles and as the year closes, almost smashes the record for the fastest double century. Now that's quite some run. Rohit Sharma scored his second ODI double century and wen past the highest individual batting score record by a huge margin. Certainly the year's most memorable ODI innings, although Corey Anderson's 36-ball century also deserves special mention. There is too much bad behavior going on the pitch. And the authorities need to intervene immediately otherwise things are going to get worse. There were many stand-offs but the Pollard-Starc fracas in the IPL was certainly the worst of the lot and yet the players just received fines as penalty. The ICC needs to act fast before things go completely out of hand. For once, the ICC acted. And its stand on suspect actions showed how effective it can be when it wants to act. Saeed Ajmal, Sunil Naraine, Pragyan Ojha, Mohammed Hafeez, Sachitra Senanayeke, Kane Wialliamson, Prosper Utseya, Malcolm Waller, Marlon Samuels are just a few names in the ever-growing list of bowlers who have been banned from bowling. There is a civil war situation in English cricket. And it is taking a heavy toll. The coaching staff has changed, Kevin Pietersen's reintegration has been a failure and there are tell-all books being written all-around. All this while the Captain was barely hanging to his seat. And just prior to the World Cup, a cop has taken place with Captain Morgan taking over the helm of the English ship from Captain Cook. When BCCI announced a second string team for the ODI series in Bangladesh, their captain Mushfiqur Rahim announced commented the records will show that Bangladesh would be beating an India team and India A team. Then they proceeded to get all out for 58 against this "A" Team with Stuart Binny recording unbelievable figures of 6 for 4. Papua New Guinea became the latest member to join the ODI club with a victory over Hong Kong, while Nepal joined the league of cricketing nations with an appearance in the T20 World Cup. The most engrossing tussle wasn't played on the field but off it with the Supreme Court of India taking on N Srinivasan. Hopefully the outcome will provide some clean-up of the game. 12th Man - The specter of the upcoming World Cup loomed large with all teams fine-tuning their squads for the big one down under in March.